Earlier today, DC unveiled its film slate from 2016 until 2020. Kicking off with Batman V Superman: Dawn of Justice, Warner Bros. will release a variety of movies during this five year period, from solo movies like Wonder Woman and The Flash, to ensemble films like Suicide Squad. DC may not have as many films as Marvel, but the company is looking to catch up. In the meantime, though, they’ve been doing quite well with another visual market--TV. Marvel may be dominating the superhero movie market, but DC TV has proven to be an outstanding success. 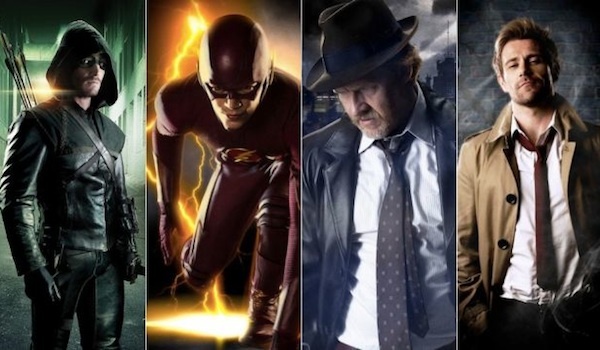 Arrow is entering its third season, The Flash and Gotham premiered to strong reviews and ratings and Constantine will debut on NBC next week. However, with Warner Bros. revealing the future of the DC Cinematic Universe, what will happen to another live-action universe being built? Arrow and The Flash have been building their own universe, which includes diverse characters like Black Canary, Firestorm and Katana. This universe has not only done a good job of adapting DC characters and stories, but it has also been a good way for non-comic book fans to learn about these characters. Will the DCCU plans have any effect on what happens in these two shows? Read on for our take. Will The Movies and TV Shows Influence Each Other At All? In short, probably not. Months ago, DC announced that its movies and TV shows would not be connected. Unlike Marvel, where Agents of S.H.I.E.L.D., Agent Carter and the Netflix series all exist in the Marvel Cinematic Universe, DC will have its movie universe and TV universe remain separate. So, if you were holding onto that glimmer of hope that Grant Gustin would appear in the movies, drop it! This was primarily done so that the movie writers could work without being constricted by the continuity the TV shows had built. While this separation is somewhat of a wasted opportunity, it will all be okay. While the movies feature their DC superheroes and Justice League, the DC TV shows, specifically Arrow and The Flash, will be building their own mythology. In fact, it’s been mentioned multiple times that these shows are building their own Justice League. So if the movies don’t do it for you, there’s always the TV universe to fall back on. The thing that the DC TV shows will be forced to deal with is not being able to use some higher profile characters. In other words, don’t expect to see Batman and Superman hanging out with Oliver and Barry on the small screen. 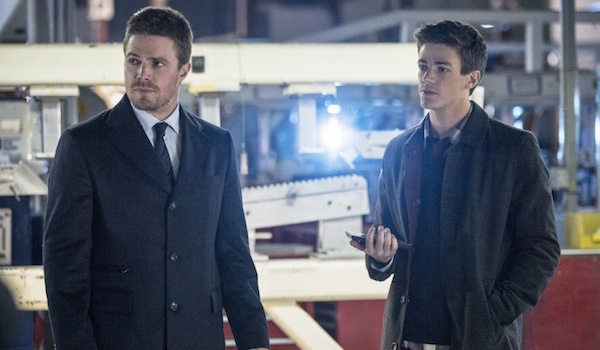 Is This Good For Arrow And The Flash? While it’s possible that DC will eventually introduce a Green Arrow movie, for now it doesn’t appear that these films will affect Arrow in any way. The Flash, on the other hand, is an entirely different matter. Even though it’s only been airing for two weeks, the TV series has debuted to great reviews and viewership, meaning there’s a strong possibility it will get a full-season order. Let’s assume that everything works out perfectly, and The Flash is on for many seasons. 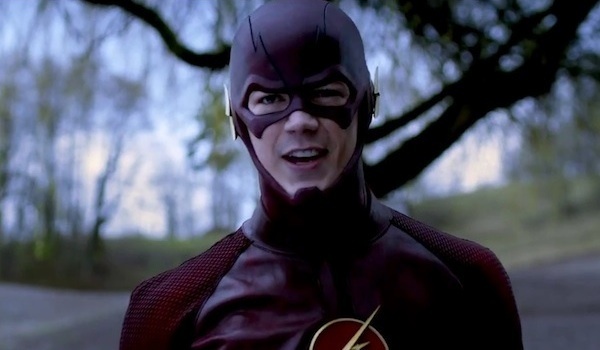 By the time the Flash film is released, the TV series will either be in its fourth of fifth season...or in between. The CW will have built up a dedicated fanbase and years worth of adventures. For all practical purposes, at that point, it should be a success. However, movie audiences are much bigger than TV audiences. Despite the CW doing its best to promote the series, there will still be many who have never watched the show, and this movie will be their first exposure to the Scarlet Speedster. So, as with many superhero movies, some will become interested in the character and wonder where they can see more of him. They may then be led to the TV series, and this could go one of two ways. One, they’re captivated by it and decide to catch up on the whole series, or two, they’re turned off on it because it’s not connected to the movie...or because of its smaller budget, although so far the TV series has given us great special effects. So, while the TV series probably won’t lose any existing viewers after the movie, it’s a toss-up whether newcomers will want to jump on after seeing Flash’s cinematic adventure. Does This Change The Likelihood Of More DC Superhero Shows? Make no mistake: there will be a lot of attention dedicated to making these movies. However, it doesn’t sound like this will change DC’s TV plans. For weeks, DC has been unveiling plans for more TV shows, including Supergirl on CBS and a proposed Titans series for TNT. It’s likely the company has more projects in the works that are being kept secret. While some of the DC leadership, like Geoff Johns, is involved with both the movie and the TV shows, the separate divisions are doing their own thing. That’s not to say that the amount of planned DC TV shows might be reduced if Warner Bros. decides to dedicate more resources to the movies. TV is a great medium, but ticket sales and marketing are where the big bucks are. However, considering how successful their recent TV endeavors have been, DC is going to make sure that we still get plenty of comic book greatness when we turn on our televisions, whether it’s pulse-pounding action in Arrow or metahuman tussling in The Flash. Let's just hope with all of the superheroes that are being introduced on both shows, the CW will decide it's time to add a little more DC to its schedule. If rumors are to be believed, they actually might.